Casey Anderson is a filmmaker, adventurer and explorer. He has spent the last twenty-four years traveling the world, capturing nature and wildlife through the camera lens. Born and raised in Montana, Anderson spent his childhood exploring the vast wilderness that was his backyard and by the age of eighteen, Casey was guiding wildlife filmmakers into remote locations to track and film the most elusive wild animals. At twenty-six, he adopted an orphaned baby grizzly bear which led him to co-found the Montana Grizzly Encounter, a sanctuary for grizzly bears saved from inhumane situations. As a television personality, Casey has made it his mission to bring his love of the wild to the hearts of the world, instilling a drive to conserve untamed and untouched wild places. VisionHawk is a product of that mission. After doing his MFA in Digital Filmmaking at the University of Montana, Deny went on to immerse himself in the world of media production and promotion for over two decades, doing everything from video producing in New York City to teaching and developing integrative media programs for Missouri Western State University. His longing to return to Montana’s film community eventually brought him and his family to Missoula, where he served as the Film Commissioner for the Montana Film Office. There, he established the Big Sky Film Grant, a million-dollar film fund where he commissioned feature film projects, YouTube channels, and Montana-based content. Projects he funded and supported during his tenure as Film Commissioner went on to Cannes de March, were nominated for Academy Awards, and played such festivals as Sundance, SXSW, Toronto, and Los Angeles. Deny currently leads the charge at VisionHawk and teaches experimental film at Montana State University. Born and raised in Bozeman Montana, Ben’s respect for the wild world is deeply-rooted. He started out in the action sports industry as a professional skier, where his passion for documenting adventure eventually led to an early career in wildlife filmmaking. He is driven by the unique combination of challenges the work provides: navigating demanding conditions, using cutting-edge technology, and tracking down the most exciting and illusive of natural behaviors. Ben also recently co-founded the Montana Grizzly Project, a non profit focused on increasing tolerance of grizzly bears on Montana’s landscapes. Ben is a certified Shotover F1 technician and operator. 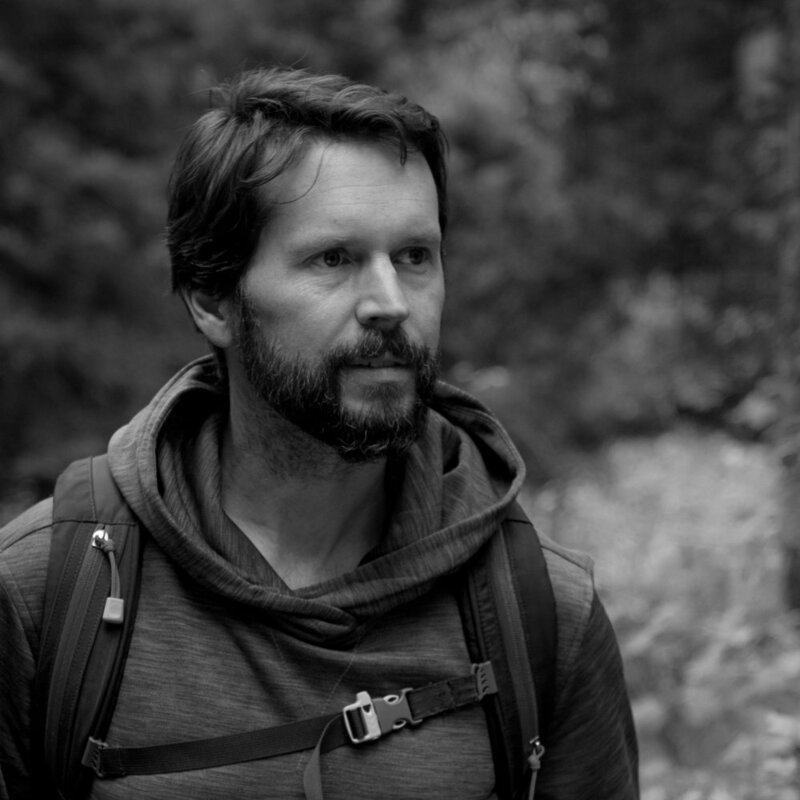 John got his start in the film world as a freelance camera operator, location scout, and editor, eventually going on to work as a location coordinator for the Montana Film Office. In his ten years there, John coordinated and managed locations and production logistics for hundreds of commercials, films, and tv shows. Most recently his work has included shooting and editing projects for National Wildlife Federation and Smithsonian Channel. John was born in Montana and still thinks that of all the locations he’s seen and worked on, Glacier and Yellowstone National Parks are among the most special. His dog agrees. Brook grew up in New England and California, where she worked as an art department rat in Los Angeles and an assistant to a handful of photographers and painters. After finishing art school, Brook did a M.A. in poetics and animal philosophy and taught English at UC Davis, followed by several years split between wildlife medicine and storytelling for artists, companies, and non-profits. Now in Montana, Brook gets to do her favorite thing: bring storytelling, animals, and the environment together, making films she believes in with people she adores. When she is not working with VisionHawk, Brook is completing a M.S. in environmental studies, where her research explores the intersection of species extinction, land-loss, and grief. She is a Brainerd Conservation Fellow. Dom has always loved wildlife and wild places. Growing up in the Sierra Nevada mountains of California, he spent his childhood in pursuit of trout, grouse and mule deer, but over time started to find himself behind a camera more often than a fly rod or firearm. Dom’s youthful curiosity for all things untamed led him to the Greater Yellowstone he now calls home, where he works as a tracker and field technician for VisionHawk Films, exploring the world in pursuit of the wildest animals and places on earth. While he has no formal education in wildlife or documentary film production, Dexter’s unique ability to sit and stay often puts him ahead of many production crew members working today. Emotionally, his contribution cannot be overstated. There are no words to express our gratitude.